This is situated in South Africa in a Nature Reserve on the coast in the Garden Route. 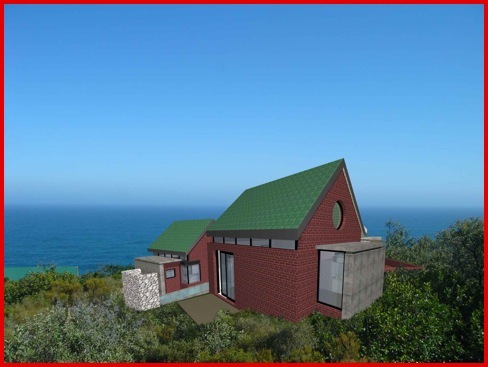 The design guide of the development requires green roofs at 45° and red face brick. To connect visually to the landscape from every room – bringing outside in. To have air and light into every room. 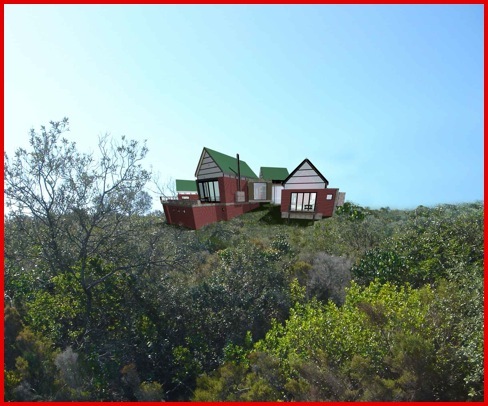 To minimize the bulk of the house in the fragile fynbos environment. 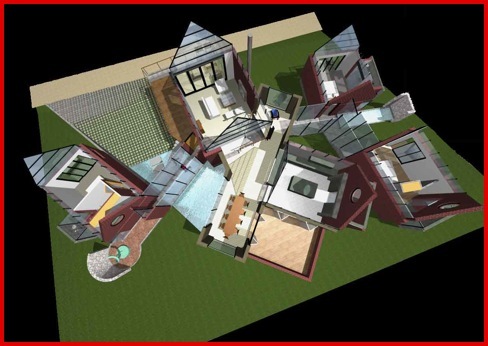 To reduce the mass of the roof allowing properties behind to see through to the sea. To minimise the disturbance and excavation to the site.